They were the two biggest shots of my life, and I missed them both. When I stepped up to the free throw line with 8.1 seconds left, all eyes in the arena were on me. It was the first round of the 2000 NCAA Tournament, and our team was clinging on to a 68-67 lead in overtime against Florida. 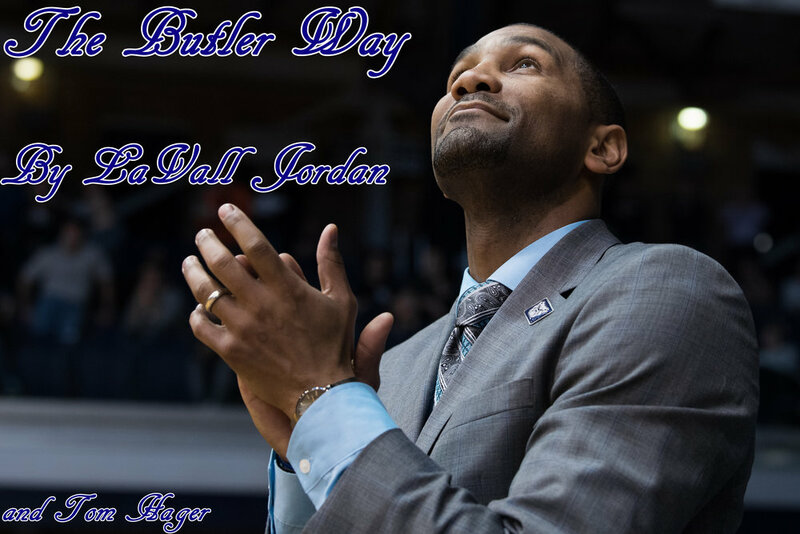 Back then Butler didn't have the prestige they enjoy now, so this was a major upset. In fact, it was going to be our program's first March Madness win in 38 years. It was a lot of pressure to put on a 21-year-old, but I felt confident. After all, I was an 83.3 percent free throw shooter. And yet when it counted the most, I lost my touch. The first attempt clanged off the back of the rim, and the second one rattled around circled out. Florida got the rebound and Teddy Dupay headed down the court. Any loss hurts - especially in the tournament - but I knew if we lost this game, it was going to sting a little more. We had led for almost all of overtime and the late stage of regulation, and hadn't trailed since there was 13:52 left in the second half. In fact, if you were to ask most of us on the team, we were probably a little frustrated the game was still taking place. We led by four points with a minute to go in regulation, and even after a four-point trip down the floor for the Gators, we still had a chance to win in regulation right before the buzzer. I should clarify. I still had a chance to win in the final seconds with a stepback jumper. And I missed that one too. We gave Florida one chance too many, and as Teddy Dupay passed it off for Mike Miller, he circled around toward our lane and dropped in a floater at the buzzer. Just like that our season was over. There was no tomorrow or next week for our season. It was done. Even though I would have to wait another eight months for the season to start again, I knew I would get another opportunity. For our seniors, however, I knew it was their last game in a Butler uniform, and maybe the last time they would ever play basketball. And I just ruined their only shot at a tournament win, and I felt horrible. And that's when I saw what The Butler Way – and being a Christian – is all about. Now that I am the head coach here, I've gotten an even better glimpse at both.